Brazil is at the top of my travel to do list and has been for sometime come to think of it. 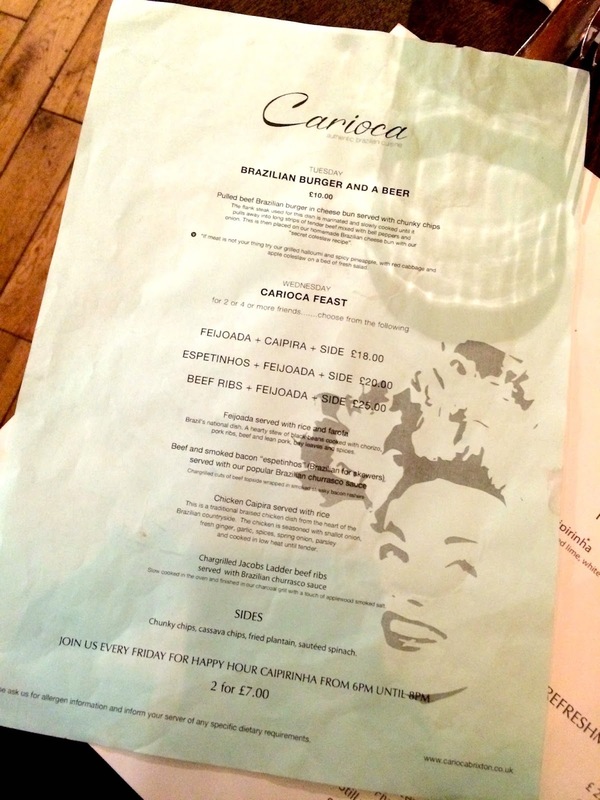 So when I was asked to come and have a try of the menu at Carioca in Brixton Market I couldn't possibly refuse. 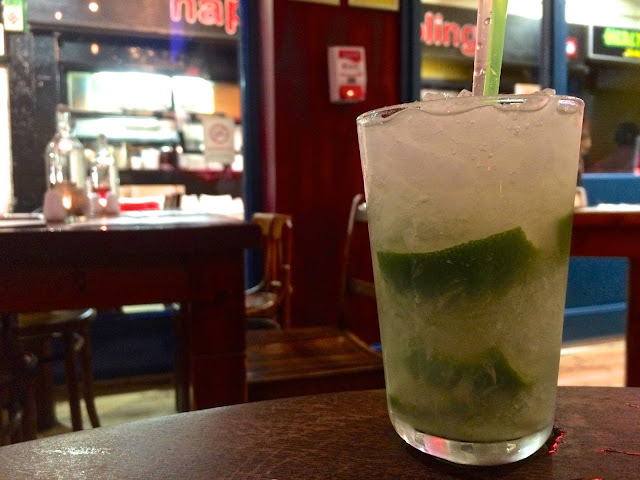 We got things started with a couple of Caipirinhas, Brazil's national cocktail, as Maurilio had recommended them and I'm so glad he did as they were seriously good! 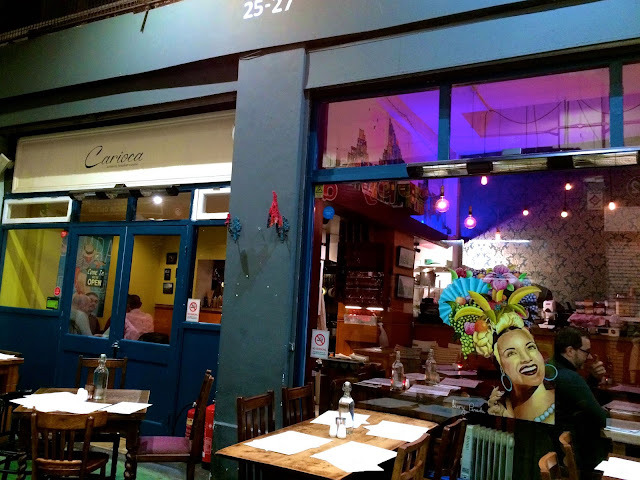 They have a happy hour from 6-8pm on Friday nights, so make sure you get down there in time for that! Then the hard decisions came, what to eat. Basically every single thing on the menu sounded completely delicious and we had no idea which way to go! They have a Tuesday night deal of a burger and a beer for £10, but not just any old burger, oh no. Carioca offer a 'pulled beef Brazilian burger served on a cheese bun'. 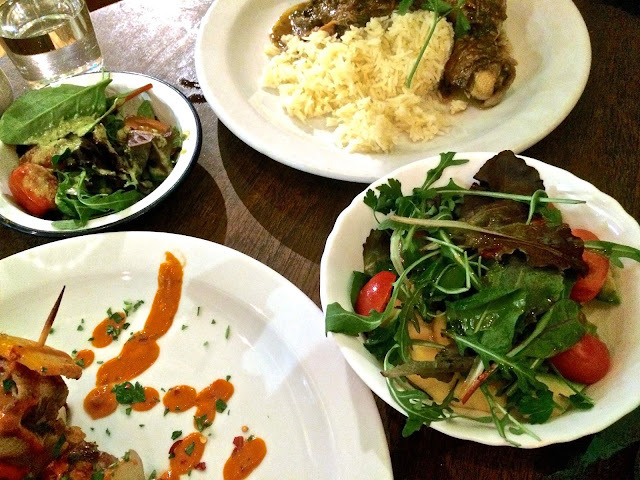 Along with an amazing deal on a Wednesday offering a feast menu for 2, 4 or more friends. Despite these amazing deals we ended up ordering off the menu, both because I'm a bit contrary and also due to the fact that I really wanted to try two things that weren't on the deals combinations. 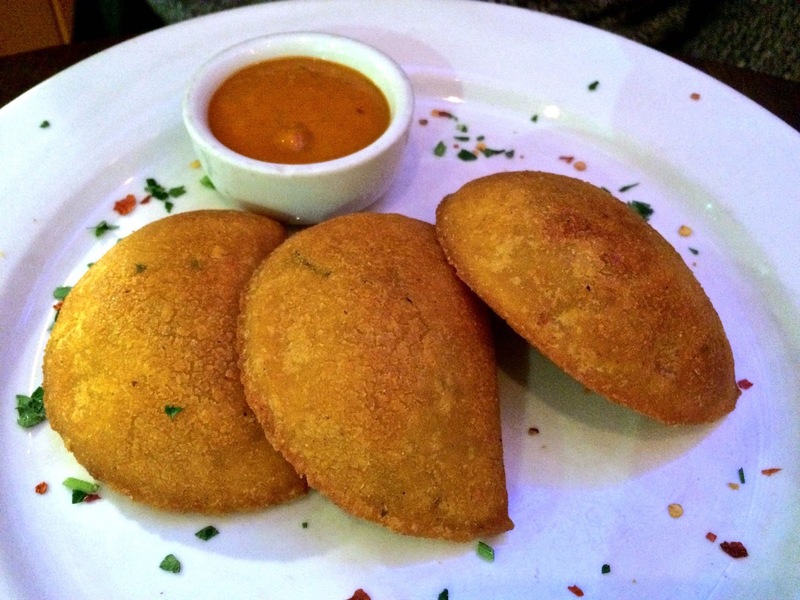 For our starters we ordered the braised beef empanadas and also the coxinhas de frango which are little croquettes stuffed with shredded chicken and a gorgeous mix of spices and herbs. They were good, really good. They were also deep fried and super hot, but if you're anything like me you don't let little things like that keep you from your food and you take a bite straight away and instantly regret it as it's so hot but them immediately go back for another bite because they're just so good! I should probably be honest and tell you that the exact same boiling hot food ritual went down with the empanadas too! 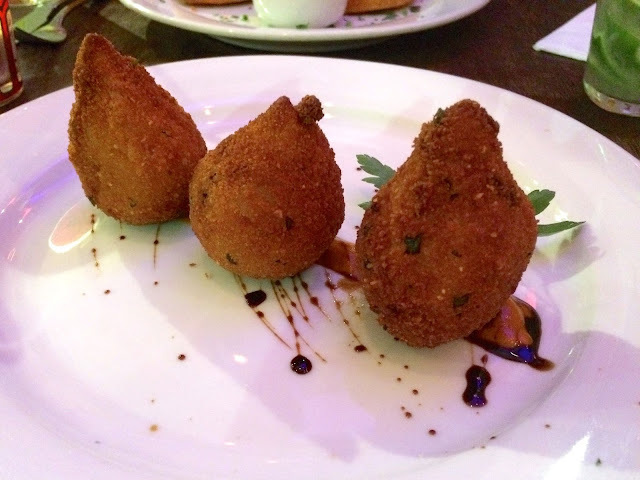 These were even better than the already amazing croquettes. The braised beef mixed with onions and peppers in a crunchy corn meal pastry hit every spot you would want them to and paired with what I'm pretty sure was their Brazilian churrasco sauce they just got better and better. Please order them! For our main courses we decided to order two different things and share them as some decisions are just too hard to make. 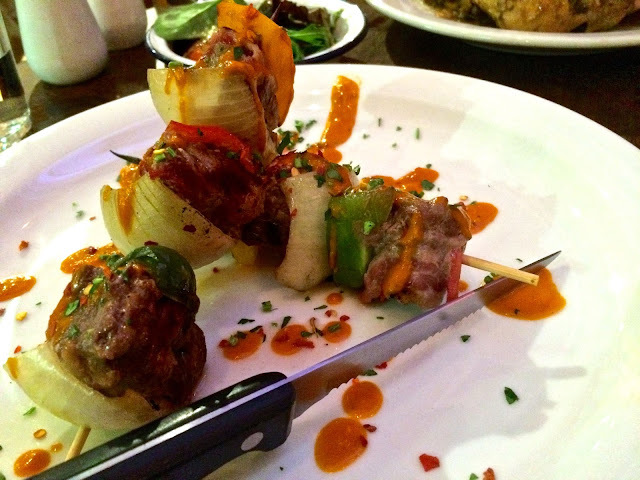 We went for the beef and smoked bacon 'espetinhos' (skewers) and the chicken caipira. The skewers were all kinds of yummy. Chunks of chargrilled beef topside wrapped in smoked streaky bacon all lined up with pepper and onion and again served with the dream churrasco sauce. I ate mine so quickly I barely had a chance to take a quick picture! 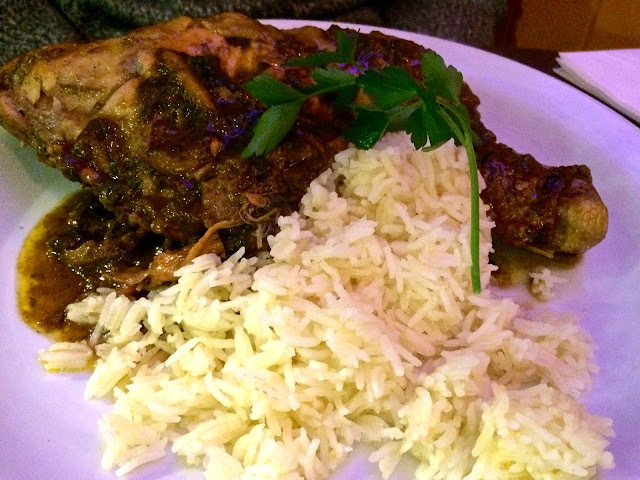 The chicken caipira however, took it up to a whole other level. This traditional Brazilian countryside dish sees the chicken seasoned with shallots, ginger, spices, herbs, spring onion and parsley and then braised at a low heat until the chicken can barely hold on to the bone any longer. Served with rice to soak up all the sensational juices and a salad to add some crunch. You need to order this, you really need to. The salad that came with the chicken was dressed in a lovely vinaigrette dressing and along with that we ordered the mango, avocado and fresh tomato salad. In true Pippa style I picked out the tomatoes and attempted to discretely relocate them on my fellas plate and then tucked in to the avocado and mango. It was a combination I wouldn't have thought of putting together but it really worked. We were both very full by then end of this but what happened next was a beautiful thing. We were presented with a slice of the best dessert I have ever been served in a restaurant. The banana and salted butterscotch sticky pudding was insanely good. I know I've said this a few times already for other things but if you ignore all my other recommendations then please just listen to this one. Order this pudding, you will not regret it! 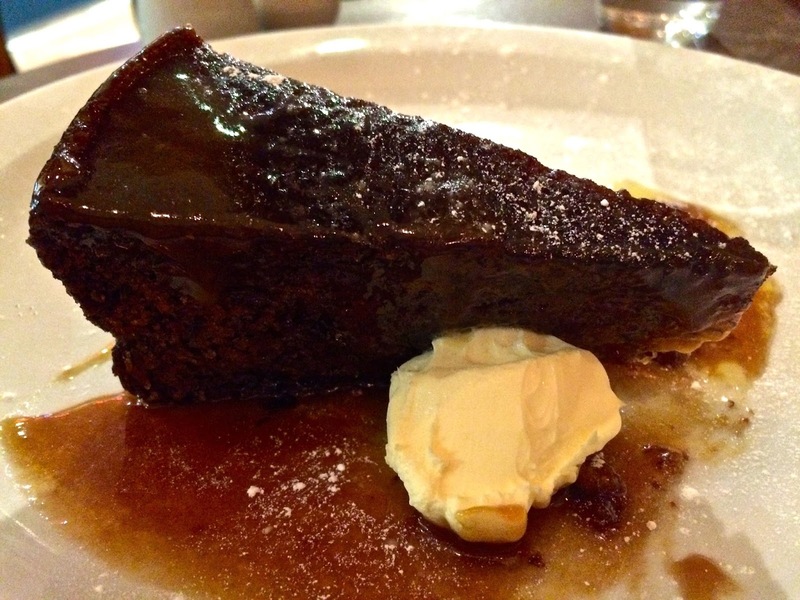 Maurilio is a trained patisserie chef and this pudding certainly proved it. 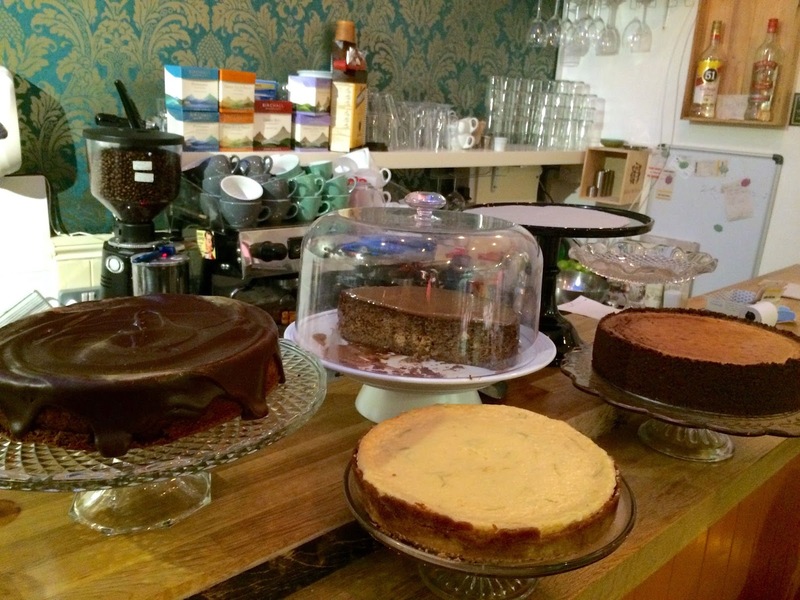 All the other cakes looked completely delicious too, and I have heard some very good things about his cheesecakes so will make sure to check those out next time I'm there. I have a general rule in London that if I've been to a restaurant once there's no need to go again, plenty more places in the city to try. 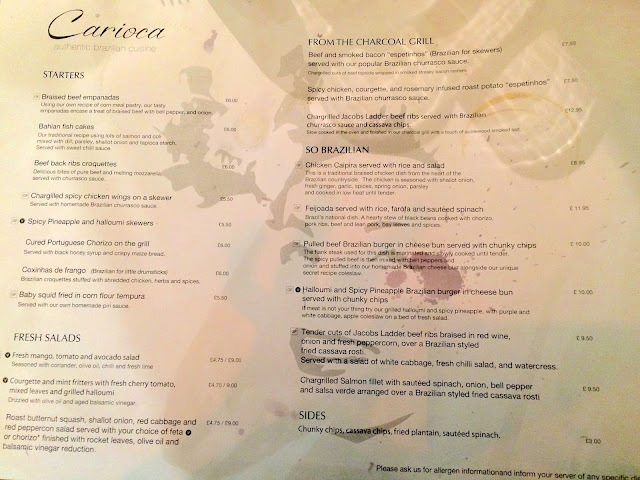 Carioca has ruined this rule for me as I'm going to have to keep going back until I have tried the whole menu and worked out a way to get Maurilio to tell me his secrets about the banana pudding and also the churrasco sauce! *This meal was provided free of charge in an exchange for a review but all views are my own and completely honest. I would be gushing about this place even if I had paid!